Garden City, New York, USA. December 6, 2013. 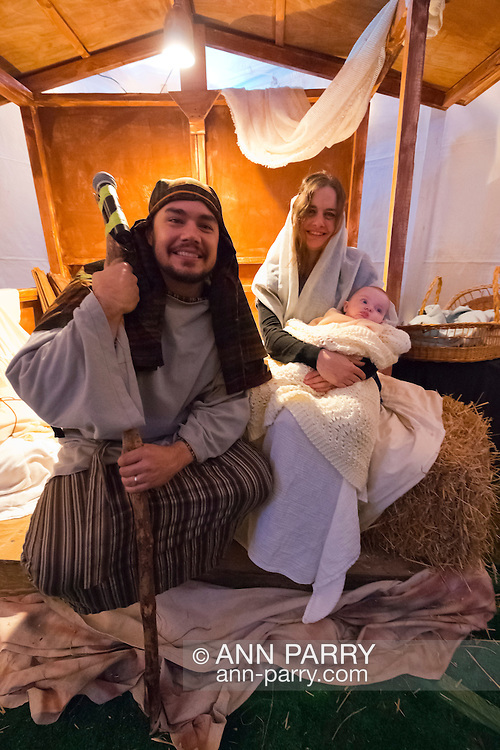 Visitors experience the nativity scene at the manger, with Mary, Joseph, and baby Jesus, the Holy Family, at A Night in Bethlehem, an annual Advent at the Lutheran Church of the Resurrection, on Long Island, on December 6, 7, and 8.